The Butterfly Effect – Page 37 – Creating shiny girls . . .
An interesting article on Ninemsn , Quarter of Girls Want Plastic Surgery , provides some interesting statistics on teen girls and their body image. A quarter of teenage girls in Australia say they would get plastic surgery if they could, and two per cent have already gone under the knife. Almost 60 per cent wanted to be lighter on the scales, and 45 per cent said they knew someone with an eating disorder. The survey also gives a picture of drug use, showing that three per cent have tried the party drug ice, five per cent had swallowed an ecstasy pill and 13 per cent have smoked marijuana. Only 13 per cent admitted smoking cigarettes. Meanwhile, about half said they drink alcohol, with one in five confessing to having done something they regret while they were drunk. Global issues, like terrorism and the environment, were a concern for 78 per cent of the sample, while 85 per cent worried about achieving at school. Peer pressures were also a reality for many, with 70 per cent of girls confessing they had been bullied. Bronwyn McCahon, editor of Dolly, said while it was an exciting time to be a teen there’s no doubt the challenges facing young girls today are greater than ever. 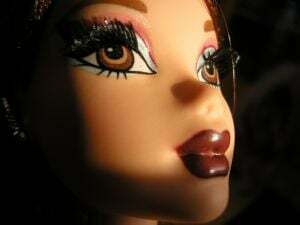 There certainly are challenges, and one cannot help but think magazines like Dolly have actually contributed to the pressure to be perfect (see Miranda Divine’s Paradise Glossed, a recent article in the Herald on magazines as girl poisoners).